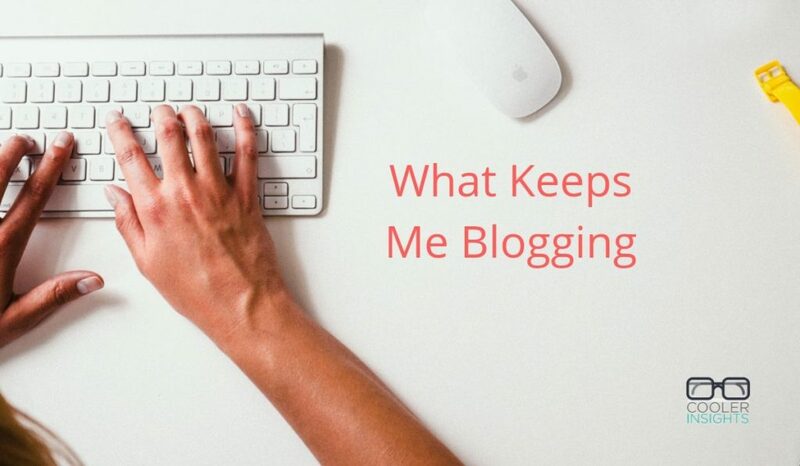 Why Do I (Still) Blog Regularly? I’ve been blogging since September 2005. That made the Cooler Insights blog at least 13 years old. Which is ancient in the super fast digital and social age, making me one of the few social media pioneers who are still keeping at it. There are many reasons why I still make it a point to blog fairly frequently despite having a rather stressful and hectic schedule at work. Blogging helps me to mentally unwind from the rigours of the workday. It also provides me with a platform to indulge my intellectual muse. With this digital canvas as my backdrop, I can dish out FREE advice that hopefully can make a difference to businesses, companies and employees wherever they are. Running this blog helps me to assert my own individuality, establish my own identity and develop my own personal brand. What I do here is in my own voice, expressing my views and opinions. Blogging disciplines me to build an online presence, post by post, picture by picture, word by word. Every blog post that I manage to push up is always a mini achievement to me, regardless of how badly written or poorly conceived it was. It gives me a platform to capture my thoughts, lessons learnt, books read, theories conceived, and other personal musings in a convenient and easily shared format. The blog functions as a “brain dump” where I can transmit whatever limited grey matter I have whenever I can muster the time and effort to put them down in digital ink. Blogging certainly helped to open up new doors to new friendships and relationships with folks from many different walks of life. Through the mutual sharing, discourses, retweets, shared links, and both virtual and physical meet-ups, my horizons have expanded tremendously both socially and professionally. Finally, my blog functions as an open book which chronicles the times of my life, as well as the growing maturity – or senility – of my views as the years pass. I suppose these are probably more significant to my family members and friends than the others who read my blog. So What Drives You To Produce Digital Content? What drives you to regularly produce content on a digital platform? Are you doing it for self actualisation, professional development, or just because you needed a place to vent? I do it to give a fresh perspective to our readers of the trends that are occuring around the world. We feel like that there are trends going on around the world which have a common thread and our goal is to really provide concrete examples.